Marcus Hamilton Thanos is marked for death, and Jack Noble is the man for the job. But when the high-profile target vanishes the day of the assassination attempt, Jack is forced to team up with a female FBI agent who was poised to learn Thanos' secret that morning. Together, they are plunged into a frantic race across state lines and international borders in order to solve the mystery, all the while unsure of who they can trust. What they discover is that the truth is more chilling and deceptive than either of them could have imagined. ©2017 L.T. Ryan. (P)2018 Audible, Inc.
Ok story line, great narration. I hope there's more to come from L.T. Ryan in present day. 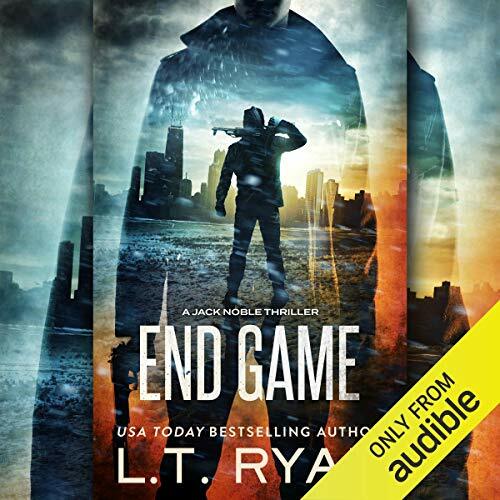 Although END GAME is Book 12 in L. T. Ryan's Jack Noble series in the series timeline it is between Books 3 and 4 (before Bear had daddy responsibilities). End Game is an excellent addition to the Jack Noble series. As usual, Dennis Holland's narration is stellar. this book will take you deeper than the Mariana trench with it's wists and turns. Although I am not A Big fan of books where the timeline is in between earlier books. It is confusing because you can’t remember who he new and what he had been through at the time.